Aspire PockeX: Being just a bit shorter than the iPhone 5s, the Aspire PockeX is the ultimate pocket All-in-One (AIO) device. Packed with a 0.6Ω stainless steel U-Tech coil, the PockeX is a sub-ohm device. 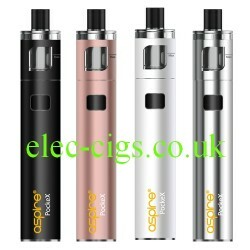 The PockeX has a wider drip-tip and larger top-airflow allowing for increased vapor production. PockeX’s discrete size and low-profile sub-ohm vapour production makes the PockeX your must-have vape while indoors or on-the-go. 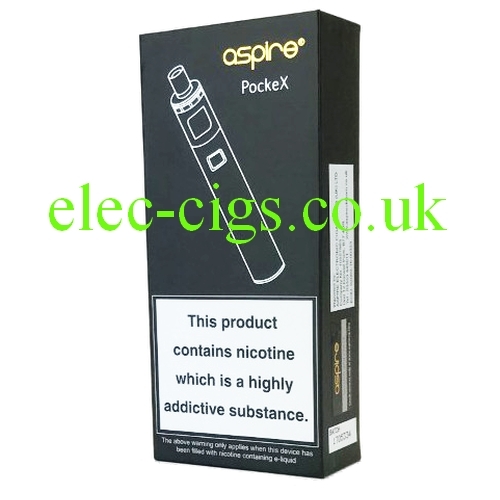 Aspire PockeX introduces top-filling in an innovative new way. The Atomizer screws into the top cap instead of tank bottom. This allows you to replace the atomizer without draining E-Liquid from tank. PockeX’s top fill design allows you to drip, drop or pour E-liquid into the 2ML tank. 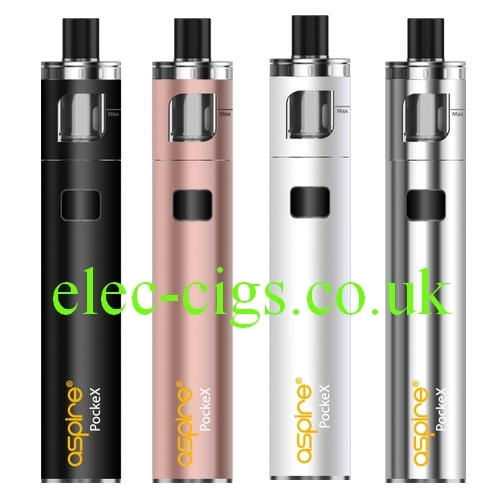 Aspire PockeX is available in several colours and the kit contains: 1*PockeX AIO (0.6Ω Atomizer Pre-installed), 1* Replacement Atomizer 1* Micro-USB Cable, 1* User Manual, 1* Warranty Card. This product contains nicotine which is a highly addictive substance.